The results will vary and depend on a few factors: your batter thickness, the type of pan (metal) you are using, the heat and temperature control and your pour. The recipe on the back of our packaging is a recommendation for new users. As you practice you may want to add a little more milk to obtain thinner batter. We recommend up to 1 1/4cup milk per 1 cup of mix. Getting your pan at the right temperature is very important.Depending on the type of pan your are using, it may take more time and power to get to the right temperature and maintain that temperature. Temperature should reach 400F. Rule of thumb: if you use butter to grease up pan, you should hear a nice sizzle sound. - 2oz or a 1/4 measuring cup for a 8.5"-9" pan. - 3oz or a 1/3 measuring cup for a 10.5"-11.5" pan. 4. Add remainder of milk and stir slowly. 5. For extra flavoring, add 1/2 oz of dark rum, Bourbon/Whiskey. 2. Once the pan is hot, grease it up with canola oil or butter wiping excess with paper towel on Flipcrêpes's Wiper. 3. Pour batter in pan and tilt in circular motion so it coats the surface evenly. 4. Cook until the edge become light brown, flip crêpe and cook the other side to lightly or to taste. 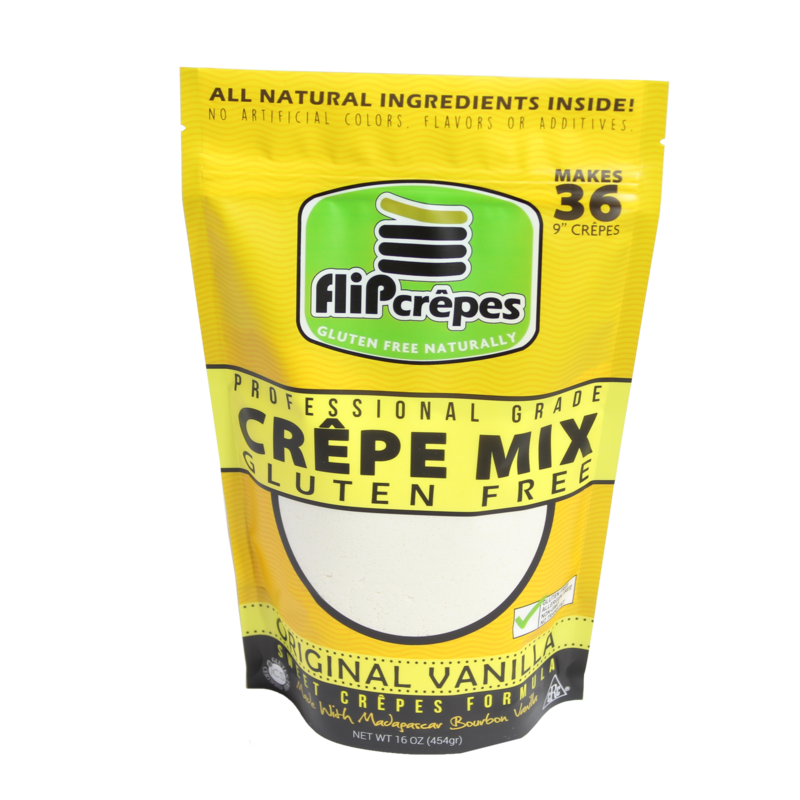 Our gluten free crêpe mix is made from a blend of carefully selected, non-GMO ancient grain flours and is mixed in an Allergen Free Mill. It does not contain any dairy ingredients such as powdered milk or eggs so you can easily make dairy free crepes or pancakes by substituting milk with almond or rice milk. SWEET RICE FLOUR, LONG RICE FLOUR, ORGANIC EVAPORATED CANE SUGAR, MILLET FLOUR, BROWN RICE FLOUR, POTATO STARCH, SEA SALT, TAPIOCA FLOUR, SWEET SORGHUM FLOUR, POTATO FLOUR, MADAGASCAR BOURBON VANILLA BEAN, XANTHAM GUM. 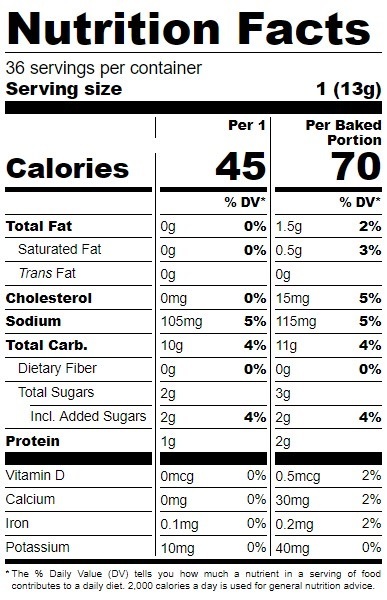 Our mix is produced and packaged in a Gluten Free, Nut free & Allergen Free facility and is Kosher certified.